To decorate my Mini Cups and Mini Spoons, I used the new Need Coffee! 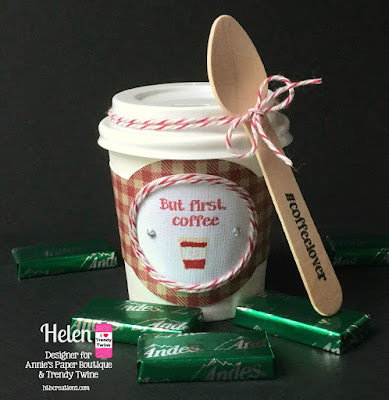 Planner Stamps along with the Cherry Latte Trendy Twine. 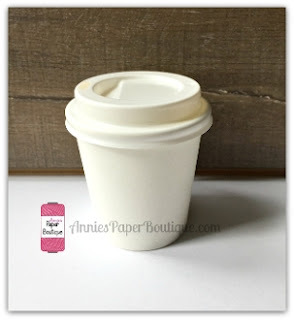 I found the coffee wrapper for the Mini Cups on my Cricut Design Space--not sure what cart, but I search coffee sleeves and found it there. 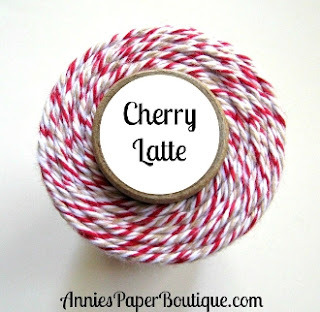 I cut a circle out and glued my Cherry Latte Twine on the outside, going around two times. Then I stamped the sentiment from the Need Coffee set along with the cute take out cup. I did try to color in the stamp a bit but that is not the best--I'll need to work on that! 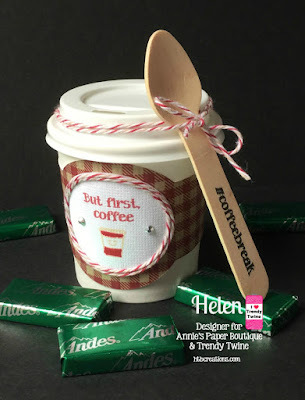 For the Mini Spoons, I stamped the hash tag stamps on three spoons. Then I wrapped some more Cherry Latte Twine around the rim of the lid and tied the spoon on. I filled the cups with some of those Andes Candies you see in the picture. Make sure to keep visiting Twine It Up! with Trendy Twine for all the fun posts we have this month! 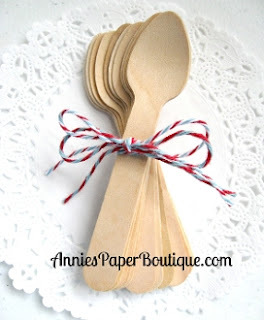 And you really need to stop by Annie's Paper Boutique for this fabulous twine and adorable mini cups while they are on sale!! You did an excellent job decorating your coffee cups! I love the round part on the coffee sleeve. It makes the perfect place to stamp! 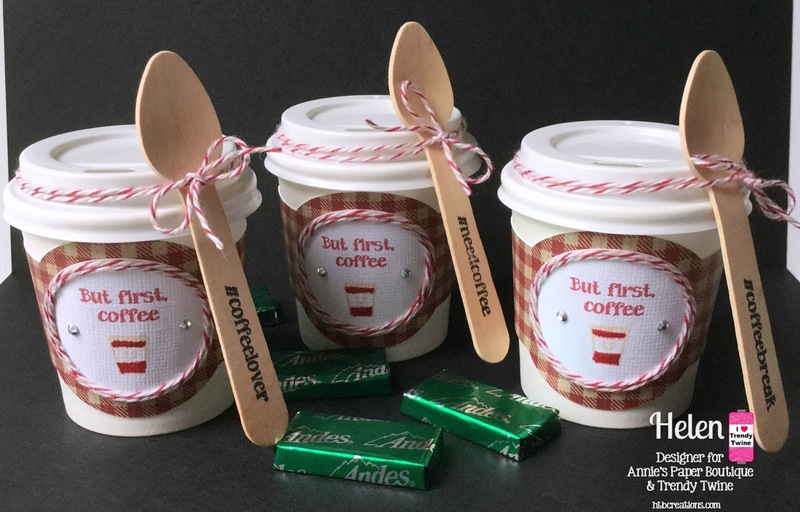 I absolutely love how you showcased the adorable coffee cups and with the cute coffee stamps too! A fabulous job my friend!! Helen, these turned out so adorable! So so cute! Super cute project! The embellishments look awesome! I love how you used the coffee stamps too! Those are adorably CUTE Helen!!! LOVe how you decorated those cups!!! These are fabulous! I just LOVE those cup wrappers :) SUPER cute!